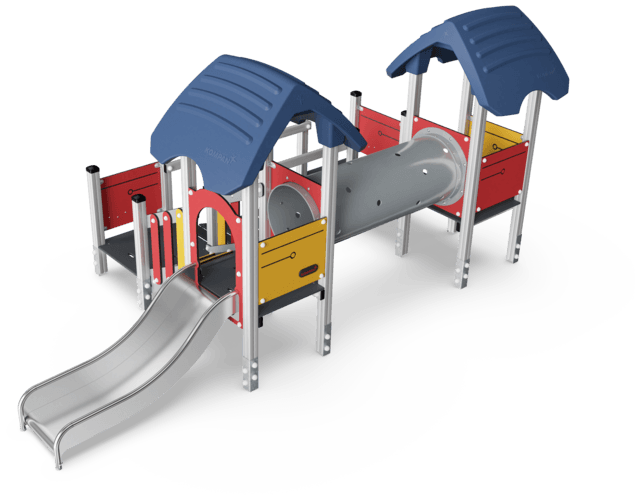 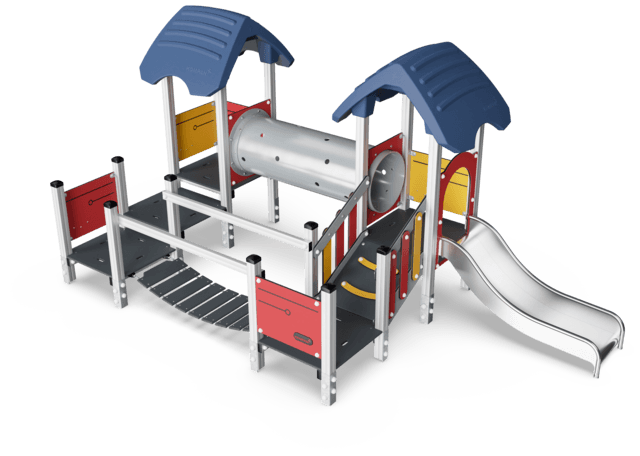 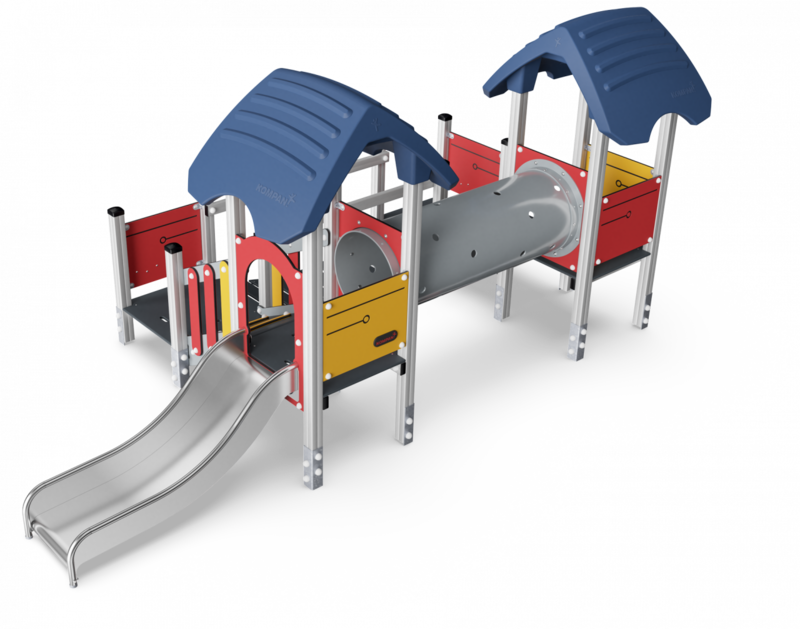 In addition to being a recognizable home-theme structure this four tower play structure is a closed loop allowing children to stay on the elevated platforms for a longer period of time. 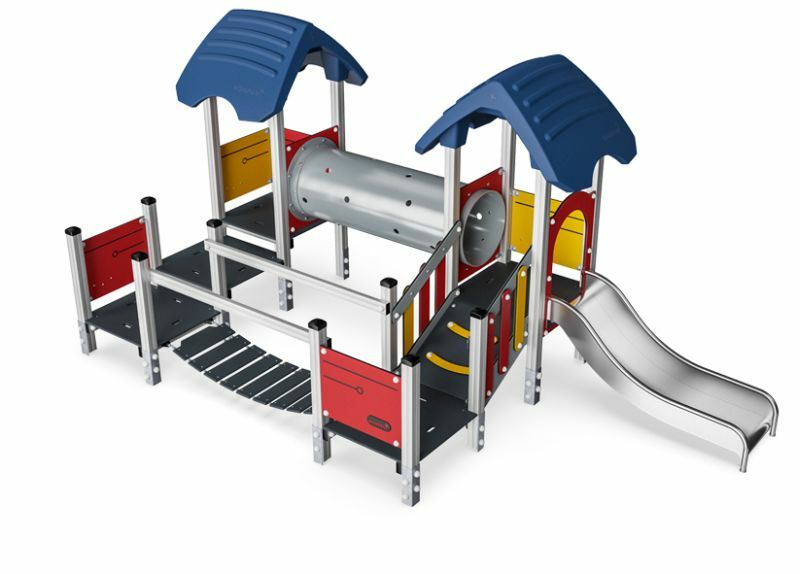 It offers a number of varied play activities that stimulate toddler’s physical skills. 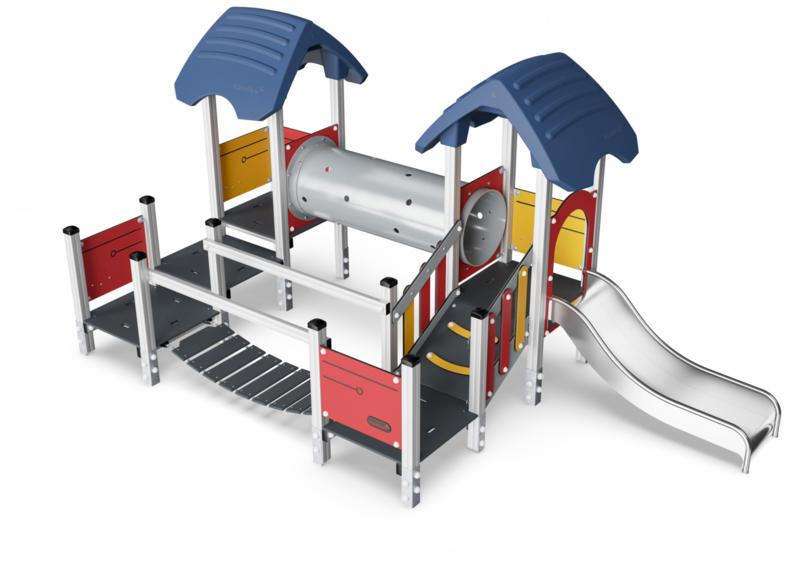 The structure can be entered from all sides and supports classic games like do-not-touch-the-ground and tag as well as just creative free play.